Aaj Tak HD will be powered by rich exclusives, superior picture and audio quality, lesser ad breaks, making it the preferred news destination. It is a big milestone in world class Hindi News viewing as it promises much higher content time, sharper audio video and wider coverage with exclusive content. India's No. 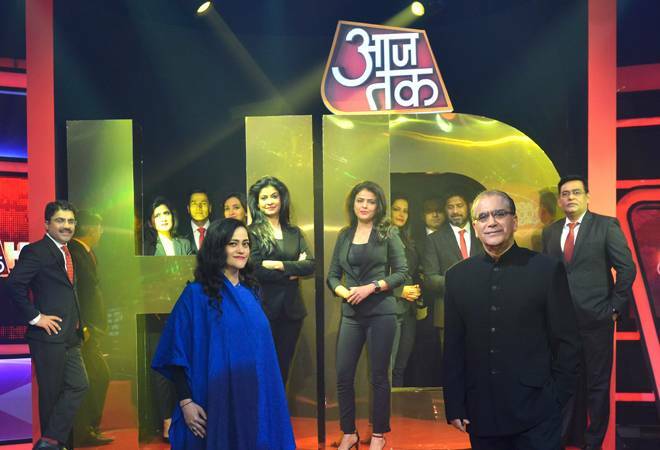 1 TV news channel with over 250 million viewers, Aaj Tak has launched India's first Hindi HD news channel-Aaj Tak HD. Reinforcing its 18 year legacy of being a pioneer, Aaj Tak marks another milestone by ushering in the future through the HD avatar. Aaj Tak HD will be powered by rich exclusives, superior picture and audio quality, lesser ad breaks, making it the preferred news destination. Mr Aroon Purie, Chairman and Editor in Chief, India Today Group, speaking on the launch said, "Time and information are the real currencies of this digital age. We have created Aaj Tak HD to give the viewer the best value on both these counts. Aaj Tak HD has been designed in a way that there will be smaller ad breaks and much more news content than you will find anywhere else. Let me assure you that Aaj Tak HD is not just about High Definition audio-video. This is about High Definition content and more of it. As a market leader with Aaj Tak, we have always been Sabse Tez, and now with Aaj Tak HD we won't be just Sabse Tez but also Sabse Zyada." Welcome to an exciting high definition ride with Aaj Tak HD. Aaj Tak has had many firsts to its name, being the first to use 3 D augmented reality graphics during UP elections, first to use drone camera for news coverage, first to launch election express - the only LIVE and on the move newsroom. Aaj Tak is also the first Hindi news channel to beat GEC channels on coverage. The brand has always been in the forefront of pioneering new technologies and offering differentiated viewing experience to its customers. 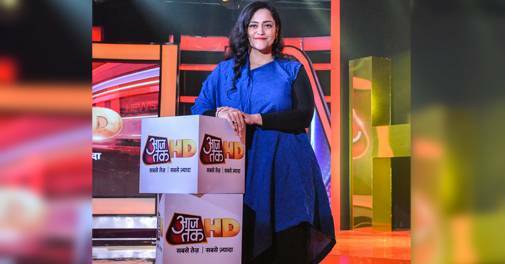 The launch of the HD channel will strengthen the company's competitive positioning and will consolidate its leadership in the Hindi speaking belt. The media group plans to launch the new channel with special features on Business, Bollywood and International News. The buzz on the launch will be multiplied with the much awaited campaign "Sabse Tez, Sabse Zyada" across multiple platforms - Outdoor, TV and Digital. 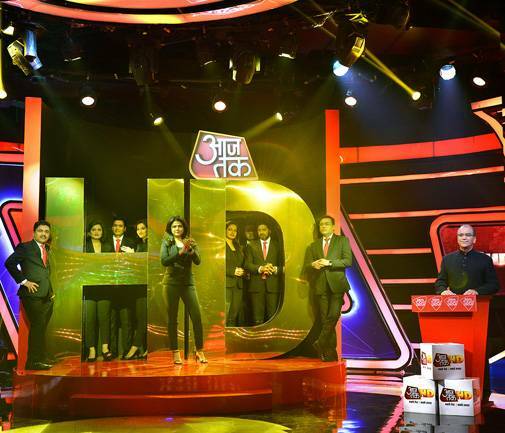 Aaj Tak HD will be offered exclusively on Tata Sky (Channel Number 508) in India initially, and eventually will become available on other platforms. Welcoming the viewers to the next level of television news viewing, Kalli Purie, Vice Chairperson, India Today Group said, "Your trust in Aaj Tak has grown year over year. It is our responsibility therefore to always be Sabse Tez... And also to always keep you ahead. Aaj Tak HD will keep you ahead on the technology curve and will service the entire spectrum of your interests including special features on International Content, Business and Bollywood. We hope you like our new offering, 'Sabse Tez Sabse Zyada".